Russ Elias brings experience from 30 years of teaching Lean Six Sigma and related management courses to his classes in the Master Black Belt program at Arizona State University. Photographer: Jessica Hochreiter/ASU. Bill Denzer had plenty of management experience by the time he enrolled in the Six Sigma Master Black Belt program at Arizona State University in 2013. Equipped with an MBA he earned at ASU, Denzer began his management career as an electronics manufacturing supervisor for Motorola before moving on to similar positions with medical device manufacturing companies. He later ran operations for two startups in the medical imaging and fiber optic technologies fields. He was in his current job as vice president of manufacturing operations for TASER International, the major personal defense and security technology company, when he met the leaders of the Master Black Belt program run by the office of Global Outreach and Extended Education in ASU’s Ira A. Fulton Schools of Engineering. They helped Denzer provide Lean Six Sigma Greenbelt management training for TASER employees. During the course of the project, Denzer decided that even with his decades of extensive business expertise he could still benefit from the higher level of Six Sigma management training. “I did some research and found that ASU had one of the top Master Black Belt programs in the world, so it was an easy choice,” he says. 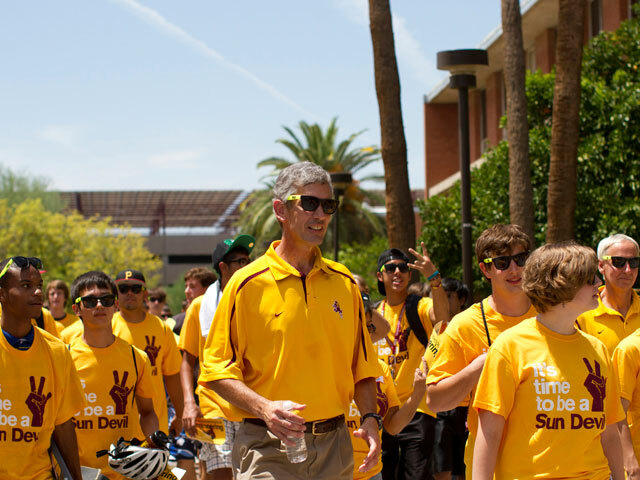 Denzer became one of more than 100 people to complete the program at ASU since it started in 2008. He has now helped TASER put 30 of its employees through Lean Greenbelt training and another five through ASU’s Black Belt program. 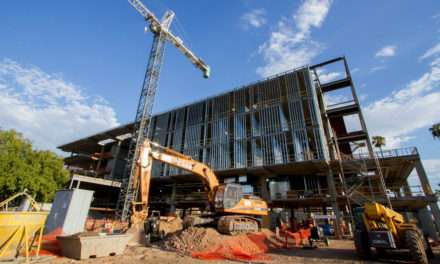 Students in the highly interactive, hybrid-format program undergo five days of intensive classroom studies on ASU’s Tempe campus. They then have three months of open access to five graduate-level online courses to study material that can prepare them to produce the “white paper” the Master Black Belt program requires. The assignment tasks students to define and defend each of their organization’s “Operational Excellence” strategy. The white paper is a unique feature of the training, an assessment that allows students to apply what they are learning in the program while also providing their employers with a high-quality and well-vetted strategic plan. Six Sigma programs focus on teaching systematic approaches to improving a broad range of processes that apply to a variety of business operations and industries. In addition to the technical aspects of process improvement — logistics, data analysis, statistical methods, design of experiments — the Master Black Belt delves into organizational communication skills, sociology and industrial psychology, with the aim of “training people in the art of being a change agent,” says Russ Elias, a professor of practice and affiliate faculty member for ASU’s program. “You learn how to orchestrate human interactions to engage people in problem solving. We give students a tool kit for doing this and perspectives on how to use the tool kit,” Elias explains. The program is typically drawing 12 to 15 students per session — including a fair percentage from throughout the United States and some from elsewhere, particularly Europe and Asia. The diversity of the students is proving to be an attraction. ASU Regents’ Professor Douglas Montgomery (at far right) is the lead faculty member for the Master Black Program. He is an international leader in contemporary industrial statistics, quality engineering and operations research. 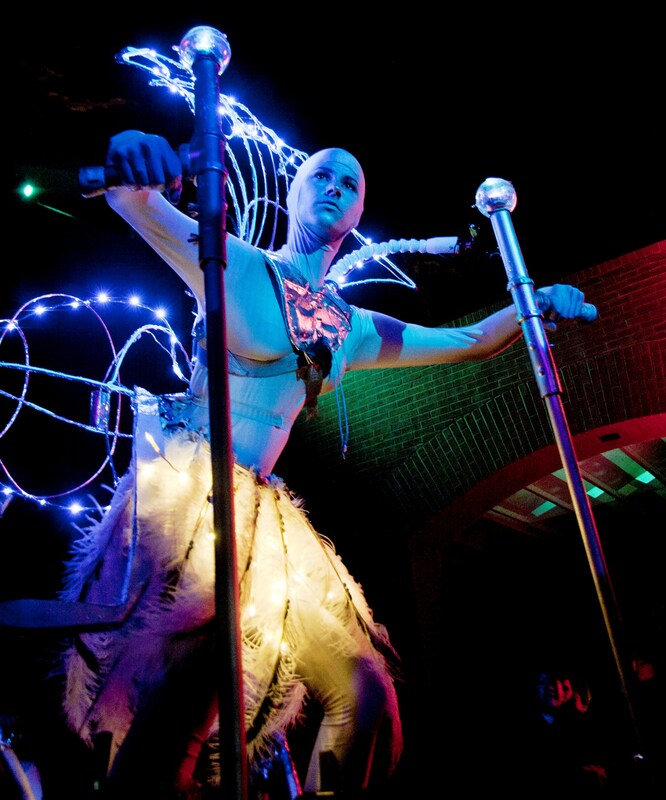 Photographer: Jessica Hochreiter/ASU. “You get valuable opportunities to learn with and from people from a variety of backgrounds and professions. 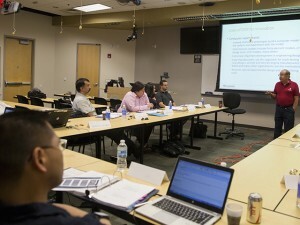 There are engineers, business managers and consultants, and small-business owners,” says Douglas Montgomery, the lead faculty member for the Master Black Belt program and an ASU Regents’ Professor in the School of Computing, Informatics, and Decision Systems Engineering, one of the Ira A. Fulton Schools of Engineering. Even though the program is delivered largely online, “the students develop camaraderie and they collaborate and help each other,” Montgomery says. Students get a variety of perspectives on process management from guest lecturers, including industry leaders, corporate executives and seasoned business consultants and entrepreneurs. Students also have access to academic coaches — either ASU faculty members or industry representatives — to provide them mentorship and assistance. But the core strength of the program is the quality and experience of the faculty, says Karl Theisen, associate director for professional and executive programs for Global Outreach and Extended Education. Montgomery is widely recognized as a pioneer and international leader in contemporary industrial statistics, quality engineering and operations research. Elias, who has a doctorate degree in industrial systems engineering, worked in engineering and management for Motorola for almost two decades and has taught Six Sigma courses and related management classes for companies and at ASU for almost 30 years. Connie Borror is an ASU Foundation Professor of statistics and the interim director of the School of Mathematical and Natural Sciences. For more than 15 years, she has taught Six Sigma courses for in-house company training programs and has been an advisor and mentor for more than 70 Six Sigma projects for ASU extended education students. Dan Shunk, a professor of industrial engineering in the School of Computing, informatics, and Decision Systems Engineering, is an expert in supply network integration and an experienced extended education teacher and management training instructor. “The faculty at ASU made the difference. Their understanding and appreciation for Six Sigma is evident in their instruction methodology,” says Jackie Eisele, who recently completed the Master Black Belt program. Eisele says she recommends the ASU training to others “because students will walk away from the experience with a better knowledge of tools and the application of them, and understanding the results” of leading a company through a change in management culture. Ofelia Burns, who earned a degree in industrial systems engineering, had more than a decade of experience in manufacturing and process engineering when she was laid off during the recent economic recession. Burns got into a City of Phoenix program to help unemployed skilled professionals re-enter the workforce. That helped her obtain a federal scholarship to enroll in a Lean Six Sigma Black Belt certification training session that ASU customized for the city program. The program required an internship, and Burns found one working for a pipe manufacturing plant. Her performance led the plant manager to later hire her for a temporary assignment as a consultant. The four-week Lean Black Belt certification program is tailored to engineers and managers who oversee tactical and strategic business projects, but Burns felt she needed more advanced training if she was to reignite her career. She found the project management and risk management material taught by Daniel McCarville to be especially valuable. Those particular skills are now in demand for almost any upper management job, she said. McCarville is a professor of practice who brings 27 years of industry experience to the Master Black Belt programs and chair of the engineering management program. Before coming to ASU, he led teams through the development and implementations of large-scale quality systems and complex manufacturing processes. Burns’ temporary consulting assignment for the pipe manufacturing operation turned into a three-year stint, during which time she established herself as a self-employed consultant. “I would not have had the confidence to become an independent business consultant without the Black Belt certifications and the support from ASU,” she says. Burns recently joined a major company in the aerospace industry, UTC Aerospace Systems. She is now the company’s lead for its Achieving Competitive Excellence (ACE) Lean program. Mark Bowser, a corporate and commercial banking leader, is a student in the current Master Black Belt session. 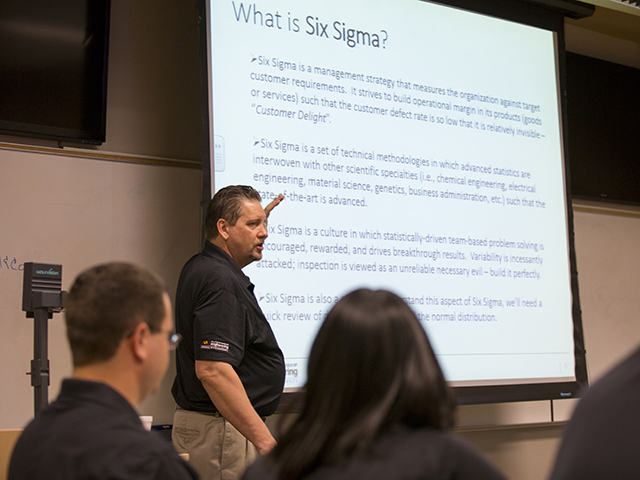 He turned to ASU’s program after his company ended its in-house Six Sigma training. In his job, Bowser manages global client surveys, quality monitoring and related analytics. “I found the week of classroom training excellent in terms of covering the spectrum of topics a Master Black Belt should know, and we’re getting examples of practical applications from experienced instructors and student peers,” he says. Over the years the Master Black Belt faculty has been seeing a growing number students like Burns and Bowser, who credit the program for helping them add to their professional achievements. Sometimes former students seek guidance from professors on how to solve problems or manage work projects. Read more about the Master Black Belt program at ASU or contact Karl Theisin at karl.theisen@asu.edu.